Since establishment in 1969, Specialty Cinema Supplies, has become a leading provider of cinema supplies and cinema fit-outsincluding acoustic wall curtains and acoustic panels, screen frames and screen surfaces, masking systems, and fire-rated projection ports to customers all across Australia as well as in 28 countries around the world. 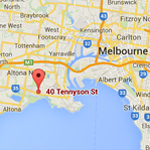 The business operates from a main office and factory in the Melbourne suburb of Williamstown, Victoria, Australia and has sales offices in Auckland, New Zealand and in Singapore. Our customers range from some of the largest global cinema chains to the smallest indepenent and community cinemas in small towns. Most of our new business is by referral, so our team is committed to exceeding client expectations on every project. We strive to achieve this through producing quality products made by technicians that are experts in their field plus having a professional and efficient installation team. Founded in Western Australia in 1969, the business began supplying and installing soft furnishings to hotels, hospitals, institutions and residential properties. In 1980 Specialty began to specialise in live theatre projects, and this continues today. The business expanded to include cinemas and by the late 1980\’s was supplying multiplex cinema sites. This activity grew to the point where by 2004 it was supplying product throughout Australia and New Zealand. 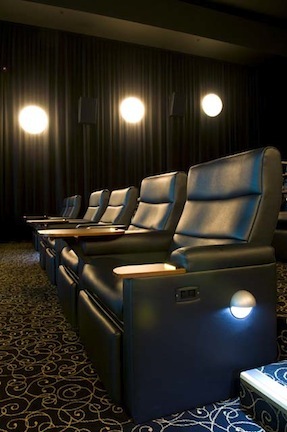 In early 2004, Specialty acquired the business operations of MGS company becoming a major supplier in the cinema auditorium fitout industry across Australia and internationally. In 2010, through affiliated company, Specialty Group (Singapore) Pte Ltd, the business opened a sales office in Singapore to better support a growing list of South East Asian customers. In 2011, a New Zealand affiliate, Specialty Group Limited was established along with a sales office in Auckland, New Zealand to better serve the trans-Tasman business. For more information about Specialty Cinema Supplies, please visit our Company News page to see the latest updates.